You sure you want to give me ideas? Or were you talking to Thorp? Both actually. It is a good resource, not mine of course. Neo-Paladin's Merge Universe, specifically Young Hero Initiative, caused me to create M'Att M'orzz as a character. He was based on a Rule 53 pic I had found of the Team (Young Justice), but it sort of got my creative juices flowing. Merging M'att with the Grue made me think of Changeling from the AlterniTeens, and made for a slightly more interesting character IMO. Then I got to thinking about the rest of the Team. Well, both actually YJ and the AlterniTeens. And the creative juices started flowing some more, slowly coming up with multiple characters. The idea was not just a Rule 63 Young Justice (although that's a major theme), nor just pastiches of either group. The AlterniTeam is a group loosely based on a combination/ mash-up of The Team from Young Justice and The AterniTeens from Freedom City (Hero High). While the AlterniTeens were already analogous to the Titans, this version was not simply meant to be copy/ paste versions even if they were also meant to be easily recognizable to those that are familiar with both teams. For instance, Kid Martian is a Rule 63 Miss Martian with Changeling's background. Cir-El is the team's powerhouse and takes Superboy's and Dauntless' role. Wheels	The New Genisphere (Mother Box)/ Navigatrix. Unlike in The Team, Wheels associates more with Hot Pursuit than Cir-El. A Cybertronian, neutral in the Great War between the Autobots and Decepticons, Wheels is a primitive bot, but since bonding with a Mother Box he has been significantly upgraded. His primary mode is that of a spherical flying droid with no limbs. He's capable of assuming a number of vehicle modes of a similar form. Knightwing	Nightwing/ Elite. Knightwing is also the name of another female hero that crossed over when the worlds Merged. This version is not a lower powered version of Robyn Drake. Instead, she is an alternate reality Gwen Stacey. Rather than being bitten by the radioactive spider that created Spider-Gwen, she was exposed to the chemicals that created Daredevil in many worlds. Kid Martian	Miss Martian/ Changeling. Like Changeling, Kid Martian is from a Grue Collective known as peaceful explorers and benefactors in their reality. He joined with the AlterniTeam to explore the multiverse, but has found himself a part of the Merge Universe now. Shield (Cir-El) Superboy/ Dauntless. Cir-El (Cheryl Kent) is an enhanced human from her world, injected with Krytponian genes, she developed Kryptonian powers, diluted by her human DNA. She uses “Shields” to suppress the human DNA and wield more of her Kryptonian power. She generally does not use the code-name that she was assigned, instead preferring Cir-El. Lioness Wolf/ No AlterniTeen version. Originally meant to be a Rule 63 Wolf/ Krypto. She is an analogue to Streaky, Supergirl's super cat. Hot Pursuit	Kid Flash/ Relentless. 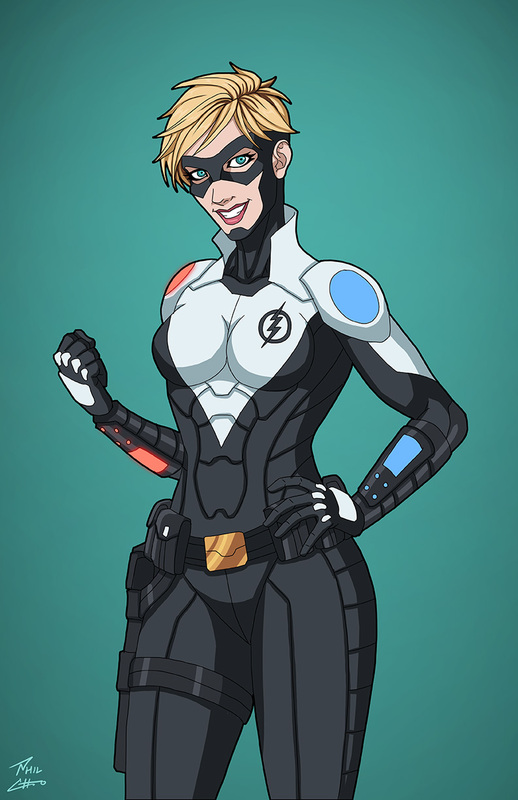 Patty Spivot wears an enhancement suit that taps into the Speed Force to give her speed powers. She was also something of a time cop in her reality. She comes from the same world as Cir-El. Ultra Girl	Aqualad/ Thor Magnison. Demetra Lemaris. Descendant of Diana of Themiscyra and Arthur Curry. 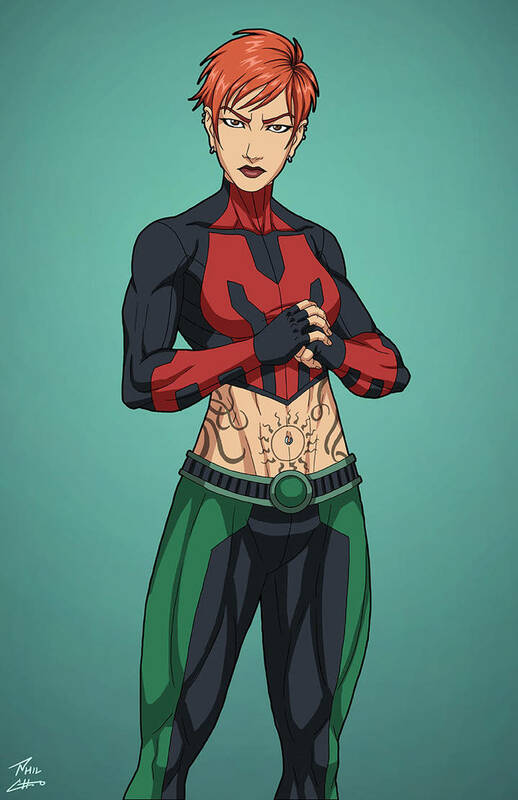 In her world, the young woman known as Ultra Gir was a member of Superboy's Legion, having taken the name Ultra Girl instead of Wonder Girl, Supergirl, Aquagirl or the like. Apollo	13	Artemis /no AlterniTeen version. Apollo 13 is about as analogous to Artemis as steak is to a vegan. Other than the name at least. Apollo 13 is from a world where the events of Injustice: Gods Among Us occurred. He is a cybernetic life-form, creation of an alternate reality T. O. Morrow. Apollo 13 is a technopath and the team's resident tech expert. Chimera Beast Boy / Whoop Ant. 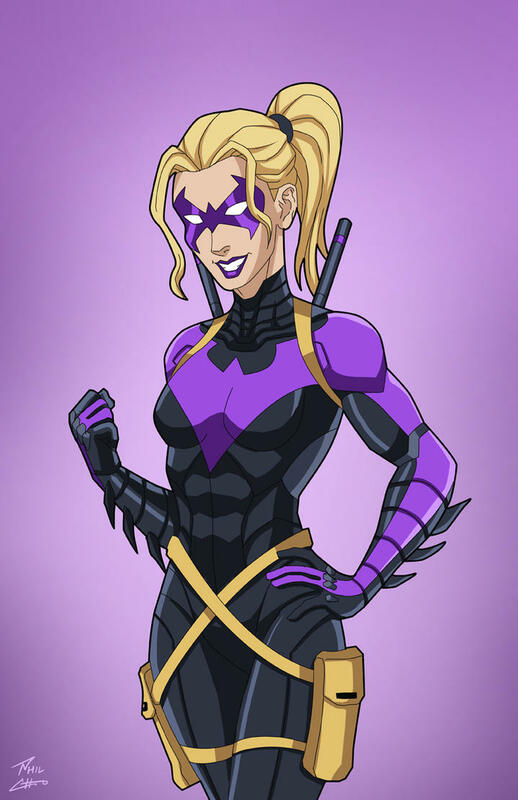 She is essentially a Rule 63 version of YJ Beast Boy, sharing a Grue background with Kid Martian but being from a more common form of the Grue. Last edited by Bladewind on Mon Nov 12, 2018 2:18 am, edited 13 times in total. Dark Secret – Luthor DNA/ Brainiac creation. Weakness – Kryptonite. Although it can't kill her, it still hurts. It leaves her impaired, disabled and eventually debilitated in terms of Strength and powers. The Team's version of Superboy is a Superman clone spliced with Luthor's DNA. (Not much of a complication in the Merge, wouldn't take Batman to figure it out.) 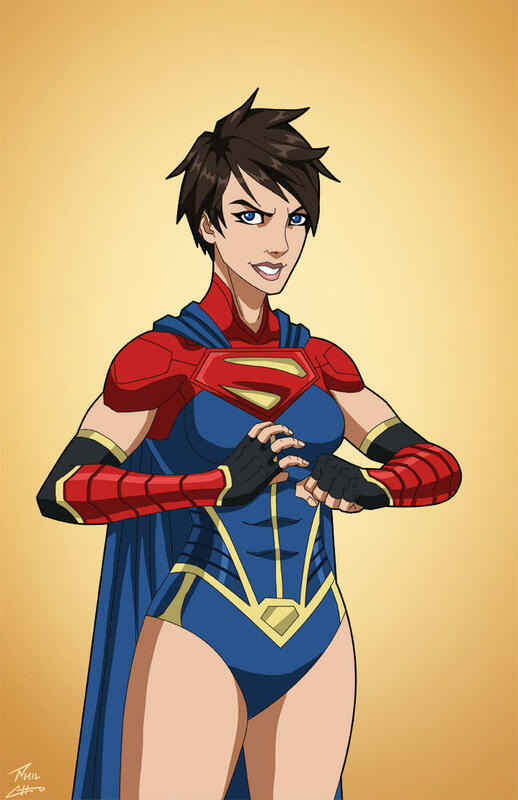 However, I didn't want "just" a Rule 63 YJ Superboy. Then I stumbled on Cir-El looking for alternate versions of Supergirl and bingo! For a couple of episodes of YJ, Superboy used "Shields" that were provided by Luthor. These suppressed his human DNA, causing him to go "full-Kryptonian." Conner rejected them. Cheryl did not. I see the effect as being exactly like Holding Back. With her five ranks, she gets a +4 to her Will Save to activate them. Unlike the versions Superboy used, these don't make her volatile. I sank points into a sidekick, Superboy had Wolf/ Krypto. Shield will have Streaky (or rather, a large cat). Her "official" code-name is Shield. She rarely uses it, using Cir-El instead. I never actually saw any use of "Cheryl Kent" in the comics, but much prefer it. This character may have been Mia before being empowered by Brainiac/ Luthor, but unlike mainstream DC, she never rejected her Cir-El identity and there is no trace of that person in her psyche. Note with the descriptor of Red Sunlight, her environment power and energy blast will have the side effect of Weaken against other Kryptonians. There is no point cost for this as Kryptonians gain a HP from the effect in an inverse use of power stunts. Last edited by Bladewind on Thu Dec 06, 2018 2:20 am, edited 2 times in total. Involuntary Transformation - Like the Founders and the Grue from M'Att's world, Lioness needs to return to her natural state at least once per 24-36 hour period. This state is a liquid form not unlike mercury in consistency and appearance. YJ Superboy has Wolf, so AlterniTeam Shield has Lioness. If Wolf was sort of analogous to Krtypo, then Lioness represents Streaky. This is a mash-up of the Grue Drone stats from the Cosmic Handbook and the Lion from the Gamemaster's Guide. This drone is not from M'Att's world. "She" is from a world where the AlterniTeam encountered and helped repel an invading force of Grue before the Merge. M'Att freed her from the collective, and she began to develop independently. In freeing her, he suppressed a lot of Lioness' Grue instinct and nature, replacing it with that of a loyal companion. To everyone's surprise, she bonded with Cir-El, taking the form that got the best reaction from the Half-Kryptonian. Lioness maintains her shapeshifting powers, able to assume the normal red-skinned humanoid form of the Grue, and having the natural liquid state of those from M'Att's world. Note: do not have the points to have this as an active array all at once. Involuntary Transformation - Like the Founders, the Grue from M'Att's world need to return to their natural state at least once per 24-36 hour period. This state is a liquid form not unlike mercury in consistency and appearance. Involuntary Transformation - When M'Att is in physical contact with another Grue, regardless of universe of origin - the point of contact will revert to a semi-solid version of their natural form, M'Att actually fears this and as a result has a slight phobia of Shapeshifters until he is sure that they are not Grue. Hunted - Most incarnations of the Grue do not like independent elements. In M'Att's case, this means they want him dead. Luckily for him, his guise as Kid Martian is serving him well. Not to mention that there has not been an established presence of Grue as yet in the Merged universe. * Originally, I had Shifter (A Jayna/ Wonder Twins Pastiche) in mind for this one. Then a White Martian. Then the Grue. Finally went with someone who can be all of that. * The base build for this is a point for point copy/ paste of the Grue Infiltrator from the Cosmic Handbook. I then tweaked it for House Rules and PL. * There are 67 extra points "spent" on the character sheet - it's essentially a set up of powers from Miss Martian (From DCA HV Volume 2 and the Young Justice cartoon) in case the Variable is too much. Having only 35 PP available at any given time to copy powers, he can't actually emulate all of those at once of course, but visually I found it easier. * Although listed as Power Mimicry, the Variable actually doesn't have a flaw on it, and I think it should stay that way. He would be able to mimic powers he knows about - powers that he's seen or experienced. Probably tends to take on something of the appearance of that person when he does, but I haven't decided on that yet. * I have a Benefit of Established Identity - his real name is "Mazzaryd Mizzruin." * Its worth noting that I am aware this character has not only the potential, but actual listed powers, that step on the niche of others in the group. That's kind of the point of the character from an IC perspective. From an OOC perspective, that's not how I play or intend to play. Kid Martian is meant to be the character that is worthy of the group's trust, but has a long way to go to earn it. * My idea for the character is to be currently in transition from a personality like Changeling from the Alterniteens to something more like Season 1 Miss Martian with the intention of developing much like she did - with the willingness to mindscrew people to get what he wants, not totally understanding the consequences. Kid Martian is a member of an alternate-reality version of the Grue Unity – a close parallel to the universe where Changeling of the Alterniteens hails. In fact, he was a member of another version of the Alterniteens. The Grue that most familiar with the species recognize are are militaristic and tied into the collective of the Meta-Mind. However, like Changeling’s people, Kid Martian's people prized individual growth and thought. Each Grue was encouraged to evolve in its own fashion and add back something new to the race. Kid Martian’s people were among the most advanced, enlightened, and xenophilic (rather than xenophobic) species of their dimension. When a version of Elite and the others from another variant of the Alternitees arrived in Kid Martian's universe, they panicked at the sight of the Grue and fought to escape. They were captured and brought before the Majestry Collective. The AlterniTeens realized their error and explained how the Grue of the different realities were more warlike. The Majesty was horrified at the thought that in other realities, the Grue were villains. They asked permission to send an observer with the AlterniTeens. Kid Martian was chosen because he was young and capable of imprinting easily. He would evolve according to his experiences and eventually bring that knowledge and his evolution back to his people. Having been warned about how others perceive his people in other dimensions, Kid Martian adopted a very human—and very perky—appearance. 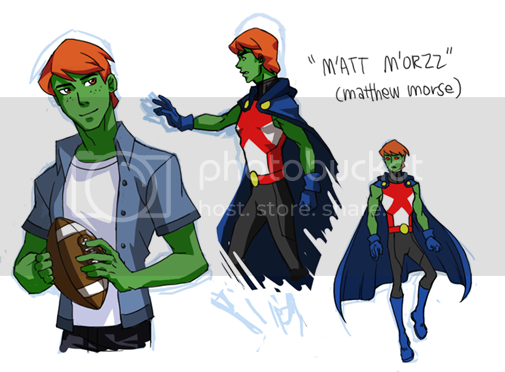 Since the Merge, that appearance has changed to became a male version of Miss Martian, complete with the name Kid Martian and the assumed identity of Matthew Morse/ M'Att M'Orzz. As noted above, thankfully, he is somewhat less perky these days. Last edited by Bladewind on Tue Oct 30, 2018 7:28 pm, edited 1 time in total. 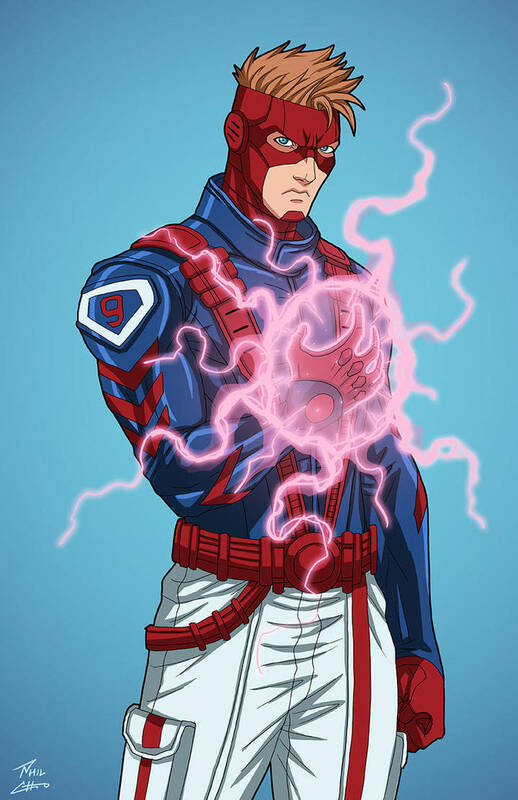 Vulnerable (All Non-Visual Dazzles)- If Gwen is struck with especially-loud noises or smells, he is rendered helpless- regular Dazzles do an extra level of effect on her, and even things regular people can stand, like loud trucks, motorcycle engines, or the subway, effect her like a Dazzle. A loud enough noise will leave her Stunned and Incapacitated as well. Disabled (Blind)- Though her other senses are far in excess of a normal human being, Gwen is unable to see colors, people from afar, etc. If her Radar & other Senses are turned off, he is totally Unaware of her surroundings. She cannot distinguish people's race without clues like accents or their diet, and cannot read anything on a computer or phone screen (nor particularly well-laminated paper). Motivation: Redemption/ Guilt - Her friend Matt Murdoch died shortly after she gained her powers, and she believes to this day that she could have - should have - stopped it. She is working to be better than that moment. Continuing my AlterniTeam builds. Knightwing is in no way linked to my Robyn Drake build. I am using this spelling (Knightwing) from Superman/ Batman: Generations only to differentiate the two characters. She is meant to be the Elite/ Robin analogue, but with some spark of semi-originality. The girl behind the domino mask is the Gwen Stacey of her reality. Instead of a radioactive spider bite, she was struck by the chemicals that created Daredevil in most Marvel realities. The powerset for her "Daredevil" powers is based heavily on those of Thorp and Jab, with the addition of the Visual immunity my own. I only see it as two points, even though arguments can be made for higher cost. I've just never seen visual afflictions or effects come up enough to warrant the higher cost, at least not ones that weren't also accompanied by something else. I've been flirting with Variable a lot lately. Not out of laziness, but out of an interest in exploring the power a bit more. In "Gwendevil's" case here, it allows her to enhance her existing senses. Not just her supersenses, her senses. Like being able to read with her finger tips, extend her hearing. It could not give her remote sensing or precog for instance. But hearing penetrates concealment (hearing through a wall) for instance, might work. Most of the Detection Senses are out, but Distance Sense, Direction Sense and the like are fine. Synesthesia (from the Sensory Powers Profile) is also a good fit, subbing vision to other senses. Last edited by Bladewind on Thu Dec 06, 2018 2:21 am, edited 4 times in total. Motivation - Protector: Demetra is highly motivated to use her powers to protect others. She willingly puts herself at risk to defend innocents or those she cares about. Rivalry/ Competition: Although friendly, Demetra is extremely competitive with Cir-El and sometimes goes out of her way to try and outdo the half-Kryptonian, even if it puts her in danger. Motivation: Loyalty: The AlterniTeam saved her life and she in turn has saved theirs. There is more to this team than just being a group of random heroes that Merged. They're like family, and Demetra will do almost anything to protect the AlterniTeam and its ideals. The Aqualad/ Magni Thorson Ant analogue for the AlterniTeam. A powered down version of my LSH Legacy, but still maintaining the same origin. From a timeline in the future, Ultra Girl was a member of the LSH after journeying from her home(s) of Themiscyra and Atlantis. She's an Amazon and Atlantean by birth (father was Atlantean, mother was an Amazon). The origin as detailed in the PL 11 version also applies here. Last edited by Bladewind on Thu Dec 06, 2018 2:22 am, edited 4 times in total. Fame - In his civilian identity, Creed was a famous YouTube celebrity. He has a following among people his age, and his identity as a superhero is actually something of a respite from the fame. Motivation—Recognition: He wants to prove to the world that he’s a capable of making the world a better place using his brains. Enemy – Ivo and Morrow. Although in custody at the moment, the two mad scientists see Apollo 13 as their creation. Somehow, even alternate reality versions of the pair recognize him as their creation and want to take him apart to replicate him. Apollo 13 is the AlterniTeam version/ analogue of Artemis and Whoop Ant. Actually, he is about as analogous to either character as steak is to a vegan. Other than the name at least. Apollo 13 is from a world where the events of Injustice: Gods Among Us occurred. He is a cybernetic life-form, creation of an alternate reality T. O. Morrow. Apollo 13 is a technopath and the team's resident tech expert. A redux of a character at a higher PL to fit the scope of YHI's character creation rules and stand with the AlterniTeam. Last edited by Bladewind on Thu Dec 06, 2018 2:22 am, edited 2 times in total. Heh, I just got a notification linking me to the Ultra-Girl post. Thanks for reminding me about those alternate Amazon ideas I'd had, I'd almost forgotten about them!
. . . and reminding me that I need to get back to those Legion character edits. Guh, so much to do. Involuntary Transformation - Like the Founders from Star Trek, the Grue from Gertrude's universe need to return to their natural state at least once per 24-36 hour period. This state is a liquid form not unlike mercury in consistency and appearance. To round off my initial roster of the AlterniTeam, Chimera. 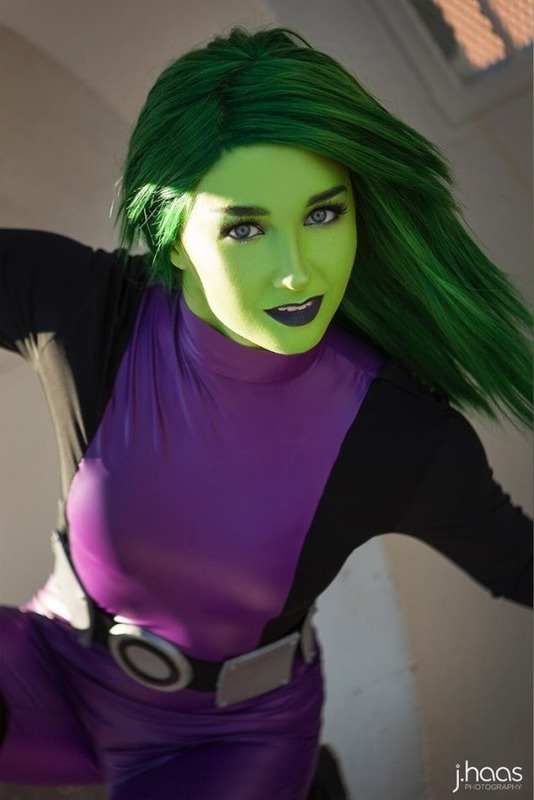 A rule 63 version of Beast Boy on the surface, she is also a Grue Metamoprh like Kid Martian. However, she is not the peaceful kind from Kid Martian's world, instead the kind that most races that know of the Grue would expect. Although essentially a complication, Chimera has been mindchanged by Kid Martian to fit the role of Beast Boy on the Team. This character has as many of the Grue traits as I could fit in, such as Blaster use and the Brain Drain. I wanted to build this without Variable, but still give her flexibility in animal forms. In scrolling through the Dinosaur and Animal archetypes in the Gamemaster's Guide, I can essentially put together almost any form as required. Hitting caps is a little trickier because of the size alteration abilities. And even though listed as Pachyderm, Reptilian and Feline, these are just inspiraton. I wanted to get away from Variable as noted above, but needed it for Shapeshift. 16 points spent instead of the 15 I'd have spent for Morph. This was for two reasons - a cheap (cop out!) way to get the environmental abilities (water breathing) and movement abilities (wall crawling, safe fall) that I hadn't already addressed, as well as a means to drop physical traits so that becoming a T-Rex would be possible without busting caps. Note, a T-Rex deafening scream (a la Jurassic Park) would have to be Power Stunt at this point. Note that despite the character inspiration, Chimera is not limited to animal forms, or a color for that matter. Descriptor and "cover" wise she simply chooses to stay green and only mimic animals - real, alien and mythological. Last edited by Bladewind on Tue Nov 13, 2018 4:05 pm, edited 1 time in total. Secret – Not her real name: Rachel goes to lengths to hide her real name/ identity of Veronica Stein. She doesn't want to be found and she doesn't want the system to know who she was. Rachel Beck is a fabricated name that has no ID and doesn't exist. First thing I want to ask about is the Benefit. It's essentially a variant on Inventor, allowing her to use different skills but the same rules to procure items from time to time. I've used it in tabeltop and I find it works, but you might not feel the same way. Her Create power ("Sheathe") is meant to be her wings suddenly expanding. From forming a shield on her arm to the move Falcon pulls in Civil War where his wings provide cover from bullets to forming a bubble around her to protect her and someone close to her... that's the intent here. Two power stunts that appear to come from nowhere as it were, but are part of what I envision the eventual source of her powers. The source of the metal has something to do with the Freedomverse equivalent of Nth metal, and thus the source of most of her powers is part gravitic. I'm iHopping (waffling) on this though. Hence, stunts. I called her main powerset "Rising Star" as homage to Megastar. Guardian Angel started as a Freedom Eagle legacy, I was going to have her break into O'Connor's home, discover the harness and convince him to let her be the new Freedom Eagle. But I didn't really find that to be a fun angle, and it was really "just" a Hawkgirl homage at that point. Then I thought of the Scarab. A Blue Beetle homage to be sure, but what about a less powerful version? Potential, but not quite what I wanted. Coming back to my original idea, I was hit with the idea of a homeless teen, empowered by someone or something. And I was flipping through 2nd ED and 3rd ED Freedom City and I hit upon Megastar. And Guardian Angel came together as a sort of "offspring" of Megastar. I went with this powerset, a bit of a hodgepodge to start, but I wanted to keep the character grounded as a street hero despite the flight powers. Veronica Stein ran away from home at the age of twelve. Her parents weren't abusive. Her parents weren't into drugs or the like. By all accounts, Veronica had it good. Her parents were wealthy and she wanted for nothing. They were sending her to all the best schools - even primary school was an elite private school. Her future was bright. But she felt stifled, she felt alone. She stops short of complaining that money doesn't solve most of the problems of today's world, especially now, but she knows that it doesn't bring happiness. It's cliche perhaps, but its the way she was growing up and she wanted more. Her parents always leaving her to nannies and tutors and caregivers, Veronica became disinterested. She didn't want to rebel or cause trouble to get her parents' attention; in fact, she probably didn't realize that's what she actually wanted. So, at twelve years old, she ran away from the wealthier areas of Freedom City and found herself homeless in the West End. It was a stupid thing to do and while she regrets it to some extent, she truly doesn't believe her parents care enough about her to miss her. She figures they can go on their vacations and flit around the world without care now, Veronica a distant memory. And so, she won't even consider going home. 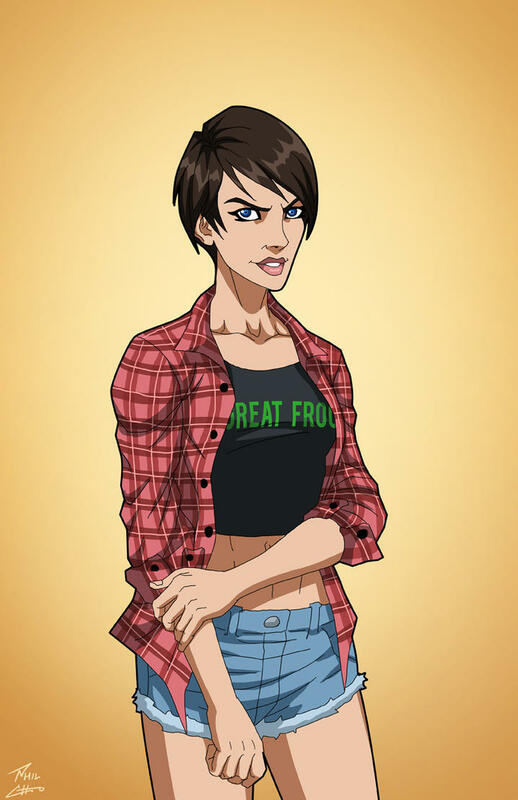 She has crafted the identity of Rachel Beck, a more mundane and troubled teen, as her "street identity" and found a few other reasonably good teens with which she has rented a small apartment that they can barely afford with the handouts and odd jobs they manage to hold down from time to time. Things were tough, and life on the streets - even with shelter - is not easy on anyone. But Rachel and her friends made the best of it, even trying to get tutoring through local after school programs. But questions always came up, and she'd find herself giving up. One day, about three years later, things took a bizarre turn. This was Freedom City, so supers and capes were nothing new and neither was collateral damage. You just had to watch where you walked and most of the time you'd be okay. But Rachel happened to be in the wrong area when Megastar and others were involved in an altercation with a group of powered villains. Instinctively, Rachel ducked for cover, but then events started happening that changed her life again. A kid separated from his frantic mother, caught on the other side of a police line... A badly damaged building... A car on fire... Rachel reacted without thinking and slipped through the police line and ran towards the kid, hauling him back to his mother. The explosion and impact of Megastar into the pavement behind her sent her sprawling, the child thrown into the air (and thankfully into the arms - however awkwardly and painful for both of them - of a police officer). Rachel saw stars, and she was sure she saw Megastar's skin melting off him, or at least oozing and moving... She crawled towards him, reaching out before she passed out. Rachel woke in a hospital room, panicked at the thought of being in custody of any kind and promptly snuck out of the comfort and warmth and back to her friends. Over the course of the next few weeks, she started developing powers and abilities of her own. She decided to keep them on the "downlow" and became a Guardian Angel to her community. Last edited by Bladewind on Thu Dec 06, 2018 2:23 am, edited 2 times in total. Continuing with the AlterniTeam is Hot Pursuit. A cross between the Flash, Relentless with elements of the Time Bureau (from Legends of Tomorrow) and the notion of the Continuity Police mentioned in the artists profile for Earth-27.The Time Travel aspect no longer really applies in the Merge universe as travel backwards pre-Merge is no longer possible. Most of the build, the powers part at the very least, is a re-use of Sprint from a few posts back, put into a device.